The EU Drinking Water Directive sets a range of standards for metals and related substances in drinking water, many of which are concerned with health protection. A number of these standards are very stringent and require compliance to be assessed at the point of use. Because of the difficulties associated with monitoring, historic practices in many countries have concentrated on the quality of water within the distribution network. As a result, the magnitude of problems with some metals and related substances in drinking water is not fully appreciated in all European countries, and the extent and nature of corrective actions differ widely. 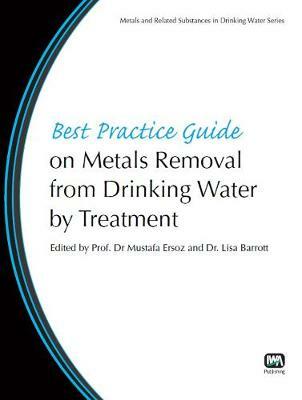 This Best Practice Guide on Metals Removal From Drinking Water By Treatment describes drinking water standards and regulations, and explains the impact of a range of water treatment processes on metal levels in drinking water. Its objectives are to provide a basis for assessing the extent of problems and to identify appropriate water treatment options. The Guide provides a reasoned guide to selection of key water treatment processes. Each chapter focuses on a specific water treatment process and has been written by experts in that particular process. Best Practice Guide on Metals Removal From Drinking Water By Treatment provides practice-based knowledge for water engineers and scientists in large and small water utilities, regulatory agencies, health agencies and local municipalities (from cities through to small rural communities). It also supports university level teaching in degree schemes that relate to water management. This Guide is one of a series produced by the International Water Association's Specialist Group on Metals and Related Substances in Drinking Water. The series is an up-to-date compilation of a range of scientific, engineering, regulatory and operational issues concerned with the control and removal of metals from drinking water.